Senior Partner | Joseph Immigration Law Firm, P.C. Jeff Joseph is a graduate of the University of Denver, College of Law. He is a past Chapter Chair of the Colorado Chapter of the American Immigration Lawyers Association (AILA) and currently serves as an elected director on the AILA National Board of Governors. Mr. Joseph also serves on the AILA/USCIS liaison committee. He formerly served on the AILA National Liaison Committee with the headquarters of the Executive Office for Immigration Review for two years, two terms as chair of the AILA Amicus Committee, and for three years as a member of the National Immigration and Customs Enforcement Liaison Committee. In 2004, he received the Joseph Minsky Young Lawyer Award from AILA. In 2005, he was named a finalist in the Denver Bar Association/Denver Business Journal Best of the Bar Awards. In 2008, Mr. Joseph was nominated by the Denver Business Journal as one of Denver's "Forty under 40" which recognizes forty young entrepreneurs for their business skills, leadership and community service. 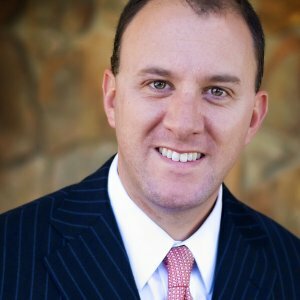 In 2006 through 2011, Mr. Joseph was named a Colorado Superlawyer by Colorado Superlawyer Magazine. 5280 Magazine also named Mr. Joseph a “Top Lawyer” in the area of immigration law for 2006 through 2011. Mr. Joseph has been selected by his peers for inclusion in The Best Lawyers in America® in the specialty of Immigration Law. In 2008, Mr. Joseph was appointed by Governor Bill Ritter to the Colorado Nonimmigrant Agricultural Seasonal Worker Pilot Program Advisory Council. In addition to AILA, Mr. Joseph is a member of the Colorado Criminal Defense Bar. He has been qualified as an expert witness before the state and federal courts on employment-related and criminal-related immigration issues, and is a frequent local and national lecturer on various immigration topics. Mr. Joseph has been a speaker at the annual AILA conferences every year since 2001. Mr. Joseph has represented clients before the United States Citizenship and Immigration Service, the Executive Office for Immigration Review, the Board of Immigration Appeals, the U.S. District Courts, and the Circuit Courts of Appeals, and has published several opinions in those courts. He is an adjunct professor of immigration law at the University of Denver, College of Law. Mr. Joseph heads up the employment-based immigration section and works primarily on employment based immigration cases, employer sanctions and federal litigation. Mr. Joseph is bi-lingual in English and Spanish. Joseph Immigration Law Firm, P.C.